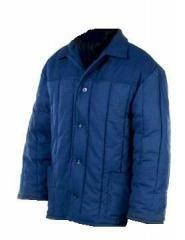 The jacket warmed on the 2nd batting with the central fastener on buttons, lay-down collar, 2 patch pockets. 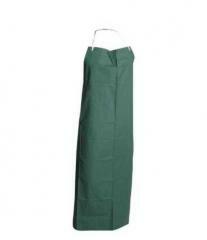 Suit of general purpose from cotton cloth "diagonal" with a density of 230-240 g / m.kv. The set consists of jacket and trousers. The jacket extended with the central fastener on buttons, three patch pockets. 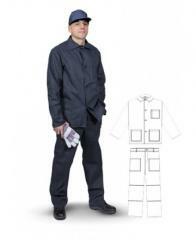 Trousers direct with fastener on buttons, two patch pockets. 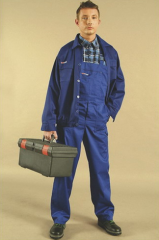 Unbelievable price on Overalls, work wear in Kharkov (Ukraine) company APS-SPECODEZhDA, OOO. Wide choice of quality products at affordable prices.